Alan Goldberg has been a partner since January 1999. Before joining Whiteman in 1994, he was an associate for three years with Wilmer, Cutler & Pickering in Washington, D.C. From 1989 to 1991, Mr. Goldberg served as law clerk to the Honorable Walter E. Black, Jr., Chief Judge of the U.S. District Court for the District of Maryland. 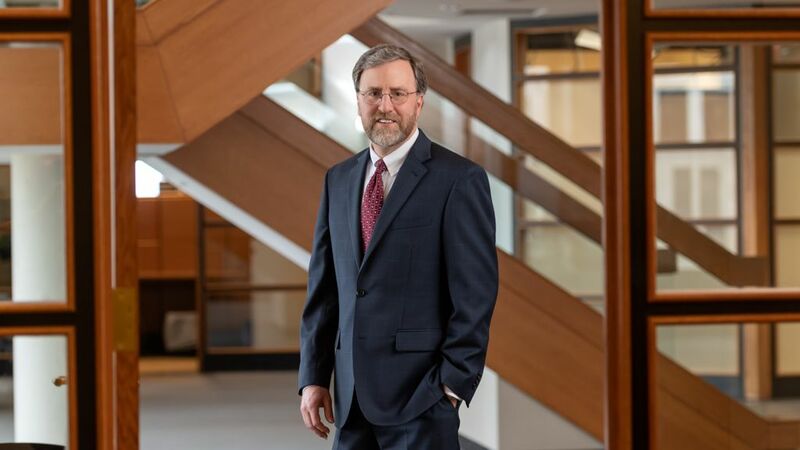 Mr. Goldberg has experience in all aspects of federal and state litigation, on both plaintiff and defense sides, and has represented clients in federal preemption, contract, sales, product and pharmaceutical liability, personal injury, environmental, employment and civil rights matters. Brought successful suit to invalidate state aviation training statute, based on field preemption under the U.S. Constitution Supremacy Clause, and federal aviation statutes and regulations. Successfully defended major banking client, in both Northern District of New York and on appeal to Second Circuit, in first-impression case seeking to impose liability upon a lender/creditor under the federal Worker Adjustment and Retraining Notification (“WARN”) Act. Served as special counsel to trustee in adversary proceedings arising out of bankruptcy resulting from largest Ponzi scheme in U.S. history. Represented FORTUNE 100 client in complex federal Superfund action, successfully defeating first proposed EPA/municipality settlement under newly-promulgated national Municipal Settlement Policy. Obtained summary judgment for corporate client defending federal employment discrimination action involving unsuccessful applications by plaintiff for 15 different positions. Litigated through appeal, obtaining affirmance from Second Circuit and denial of certiorari by Supreme Court. Obtained summary judgment and appellate affirmance for client town officials in action alleging numerous forms of official misconduct spanning eight years.